Chop the potatoes and place in cold salted water. Bring to the boil and cook until tender. Peel the beetroot and bring them to the boil in a separate saucepan, continue to cook until they are tender. Rinse well. 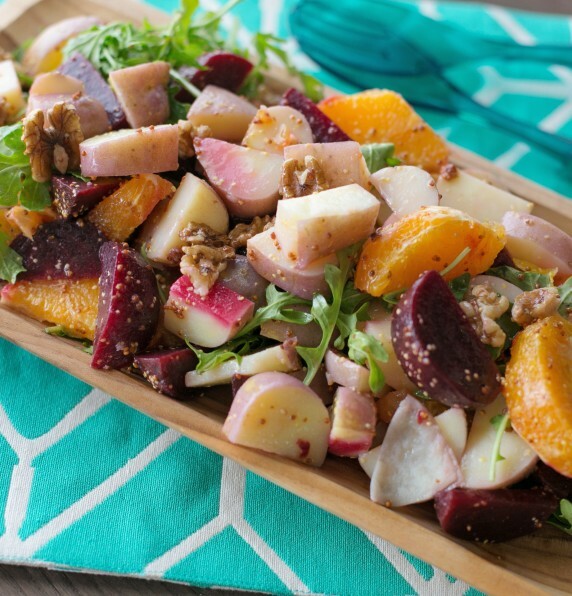 Cool the potatoes and the beetroot and mix with the oranges, rocket and walnuts. Combine the lemon, mustard, olive oil and pour over the salad. Season with salt and pepper.